The April 2017 People's Climate Movement compelled hundreds of thousands to march in the streets to speak up for a livable climate. 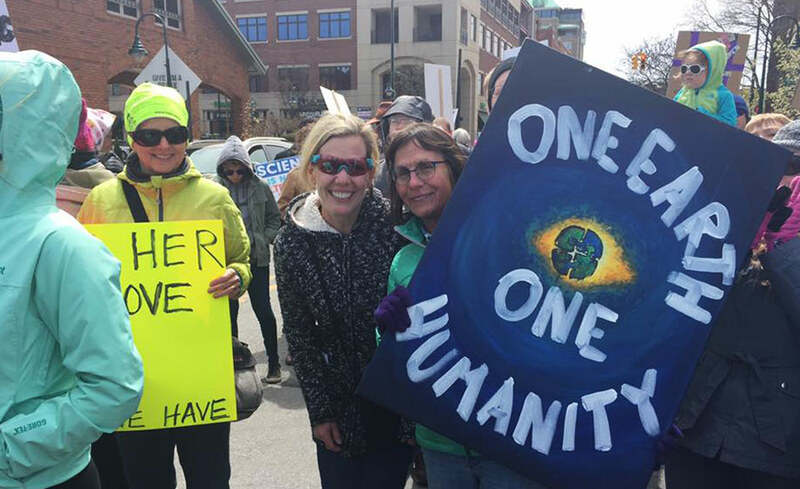 Michigan Climate Action Network played a pivotal supporting role in enabling participation by Michiganders not just in Washington D.C, but in nine climate marches statewide including Marquette, Traverse City, Bay City, Newaygo, Holland, Grand Rapids, Kalamazoo, Ferndale, and Detroit. 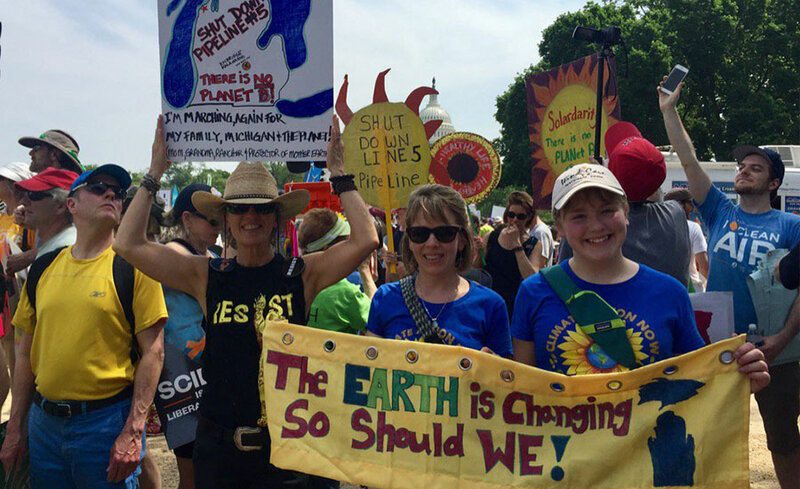 The climate marches brought together new and seasoned activists, inspired more people to become climate activists, and built stronger connections between us. It showed the world, the Trump administration, and ourselves that there are huge amounts of people demanding climate action and that we will stand up to attacks on our future. It also helped connect new activists to the local efforts working toward solutions and helped build a stronger and more connected movement. MICAN served as a conduit to these marches. In addition, our Climate March 101 web page helped many people to organize their first bus to a climate march. We are dedicated to rising to the challenge of the most urgent threat to us all. Kate Madigan, MICAN director, addresses Michigan climate activists from the steps of the National Gallery in Washington DC. MEC's Kate Madigan addressing #MIClimate activists on the steps of the National Gallery at the Washington #ClimateMarch. Hi I was hoping to get into contact with someone who runs the campaigns about a possible collaboration. I am running the Michigan state chapter of the national youth climate strike on March 15th and I would love the support your group can offer. Please email me at michiganclimatestrike@gmail.com if this is something you’d be interested in doing. Thanks!